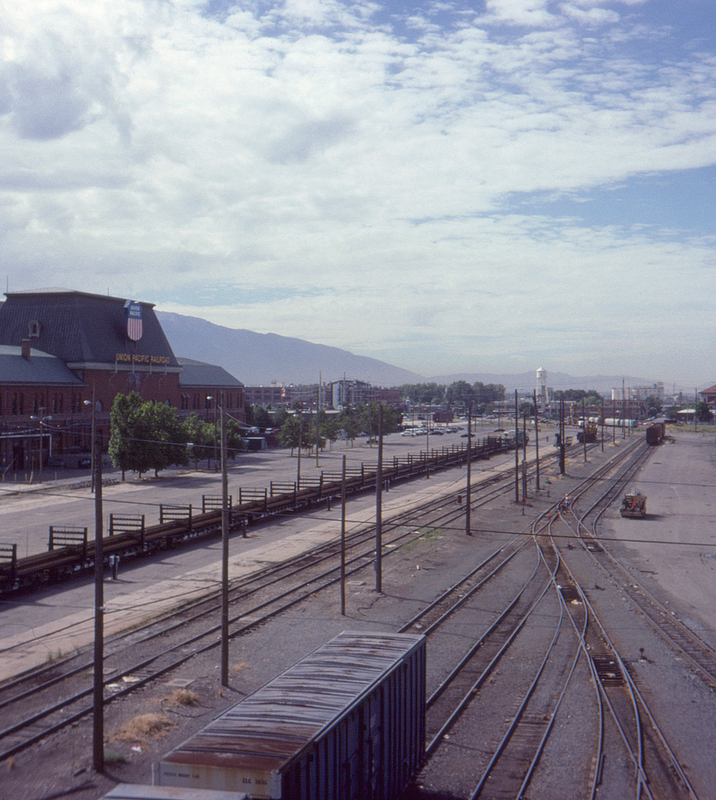 In 1998 the familiar footbridge connecting the Union Pacific's Salt Lake City station with the area west of the tracks was still in place, providing this updated view. The passenger trackage is gone but the rest of the scene remains quite familiar, including the Denver & Rio Grande Western depot (no longer in joint use with Western Pacific but now used by Amtrak's California Zephyr). Today (2018), although both stations still stand (and remain in use as museums), all of this trackage has been relocated further west, with only tracks of the TRAX (light rail system) calling in front of the station.